While there is little doubt now that if the opposition decides to band together and fight unitedly, it can defeat the BJP - it happened when the RJD and the JDU came together in Bihar, and again when BSP and SP came to an understanding in the UP bypolls - the real question is what happens once the BJP has been defeated. According to the reports, having successfully achieved their primary task of making sure that the BJP did not form a government in Karnataka, the JDS and the Congress are now facing a bit of a dilemma: How to divide the spoils of the war between the MLAs of each side? The two parties have so far only agreed on two things - that HD Kumaraswamy will be the chief minister, and that the BJP should be kept out of power at all costs. Apart from that, how many ministers will the Congress have and how many ministerial berths will go to the JDS has not been finalised. Nor is it certain which party will get the prime ministries - finance, home, industries, mining etc. There are confirmed reports that at one point HD Kumaraswamy even offered Congress the CM position, but that the latter did not want it. One thing is certain though, prominent MLAs from both parties are lobbying for berths in the more prestigious ministries. In my last column, which I had written before the floor test was to take place, I had said that whichever formation finally came to power, the people of Karnataka could expect little governance. That was because the chief minister would be too busy keeping the flock happy to be able to govern properly. Even before the new government can take charge, the unhappiness in the flock is already apparent, if news reports are anything to go by. While a number of commentators have been happily proclaiming that Karnataka proves that the opposition can come together to stop the BJP juggernaut, and that it provides a template for the 2019 general elections for all "secular" parties to unite and fight the elections as an alliance, they are ignoring one major problem. The different opposition parties have little in common except for a shared dislike for the BJP and its dizzying rise in the last four years. The Narendra Modi-Amit Shah combine has been decimating opposition parties in state after state. In the few cases where they have lost - Bihar, Goa to name just two examples - they have still managed to form the government by splitting opposition ranks. Karnataka is a rare defeat, though it remains to be seen how long the Congress-JDS combine will manage to pull along. While there is little doubt now that if the opposition decides to band together and fight unitedly, it can defeat the BJP - it happened when the RJD and the JDU came together in Bihar, and again when BSP and SP came to an understanding in the UP bypolls - the real question is what happens once the BJP has been defeated. 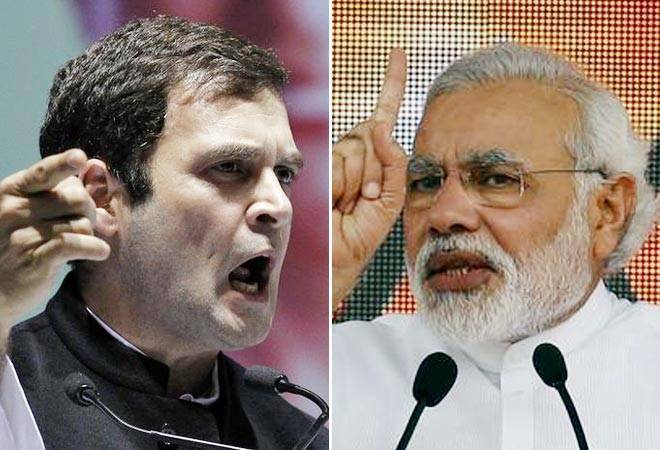 So far, the different opposition parties have not managed to work out a common agenda on how to govern if they were to win a larger number of seats than the BJP in the 2019 election. And that is the biggest problem. In the past, such coalition governments have taken charge at the centre. A rag tag coalition defeated Indira Gandhi in 1977 under the name of Janata Party, but that government did not last too long. Similarly, another coalition defeated the Rajiv Gandhi government in 1989, but again it did not last too long either. In the past, the coalitions which have lasted and provided stable governments are those which had one dominant partner - either the Congress or the BJP (under Atal Bihari Vajpayee). These governments have had problems, but not as many as a coalition with no clear leader. Leading up to the 2019 election, the Congress does not enjoy the kind of clout that it did earlier when it was capable of winning elections in many states in the country. Its influence has diminished and strong regional parties see no reason to confer it with a big brother status. Which is why a united opposition against the BJP formed by the different parties might well have a good shot of winning elections - but would probably not be able to govern once it has achieved its goals. If the opposition seriously wants to defeat the BJP in 2019, it should sit together and decide on the agenda to be followed once they form a government - and check if individual ambitions will come in the way of forming a stable government. Otherwise, it makes no sense. How do blockchains securely record, store and share data?